True to its word, Sony is now starting to roll out the Android 4.1 Jelly Bean update to its Xperia handsets. The update is arriving first on Sony's newer smartphones, such as the Xperia T and Xperia V, with the Xperia TX starting next month. Along with the standard Jelly Bean features Sony has thrown in a few enhancements of its own, like better home screen customization and organization along with improved Sony Media apps to make it easier to browse music, photos, and video. The camera has also gotten a boost with a new auto scene setting and a single touch button to swap between front and rear cameras. Jelly Bean will roll out as an over the air update to those devices starting today, though as always it may take a week or two to reach all smartphones on all carriers. 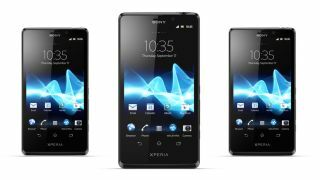 Sony had previously revealed that March will see the update make its way to more devices, with the Sony Xperia J, Xperia P, Xperia S, Xperia SL, and Xperia Ion on deck. Meanwhile, some Xperia handsets are not destined to enjoy Jelly Bean, as the Xperia U, Xperia miro, Xperia tipo, and Xperia sola will have to make do with Android 4.0. For those who can get the upgrade though, Jelly Bean's zippier interface and Sony's own enhancements should give that Xperia a welcomed boost.